The boxed set includes 35 player cards — that’s every single player that suited up for the Golden Knights during the 2017-18 season. 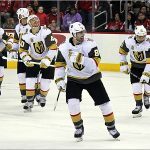 So, yes, the big guns like James Neal, Marc-Andre Fleury and William Karlsson are here –as is fifth-string goalie Dylan Ferguson, who played only 20 minutes of one game for the Knights. You can’t get more complete than that. The design of these cards is pretty clean. Unlike many other Upper Deck cards, these lack the foil on the fronts, which I usually find distracting. Most of the card is dominated by a large photo, as it should be. 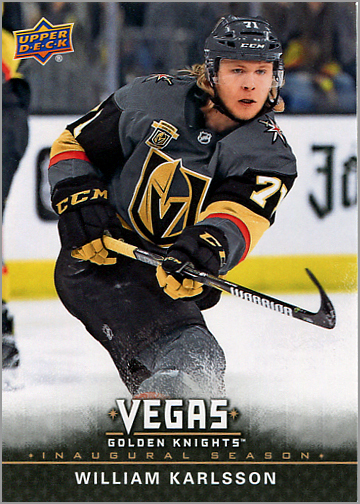 Also, there are no borders on three sides, nor is there a Golden Knights logo, which would be superfluous anyway, since every player in this set is on the Knights. The gray border at the bottom grounds the design, and offers a bit of needed contrast for the team name and player name. The design is simple, but it works. 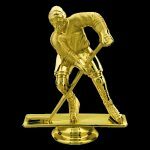 The usual vitals are here (height, weight, position, birth date, birthplace)as are the past five years of the player’s NHL statistics. Normally, I want more stats, but here, I actually want less stats; I think it would have been better if the cards had only the player’s stats with the Knights. 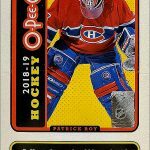 I would have also liked it if these card stated how each player was acquired, be it through the expansion draft, a trade or a free agent signing. 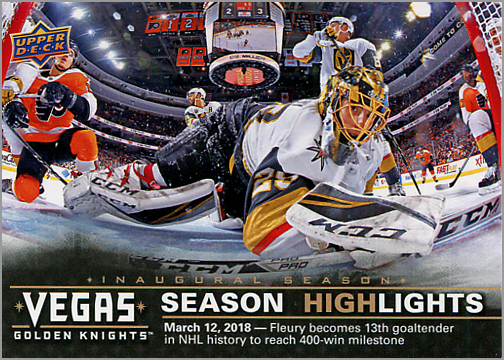 I guess Upper Deck wanted this set to be 50 cards, because there are 15 “Season Highlight” cards, recounting the history and accomplishments of the Golden Knights, from the night the team announced its expansion draft selections, to the game where the team advanced to the Western Conference Finals. 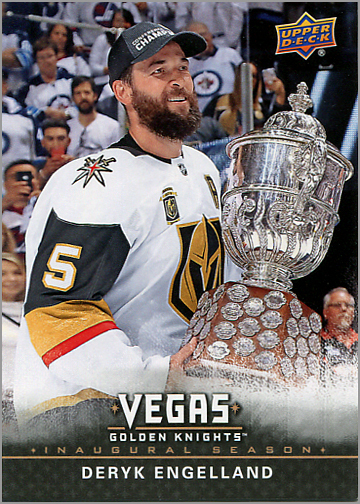 Strangely enough, there is no card about the Knights actually winning that series and earning and the Campbell Bowl as the best team in the Western Conference, though the card of Derek Engelland shows him holding the trophy. Each boxed set includes five “Golden Parallel” cards, which have a distracting, gold-foil Knights logo flanked by stars and stripes. These were unnecessary, but I guess they give people incentive to buy multiple boxed sets to try and build a complete Gold set. 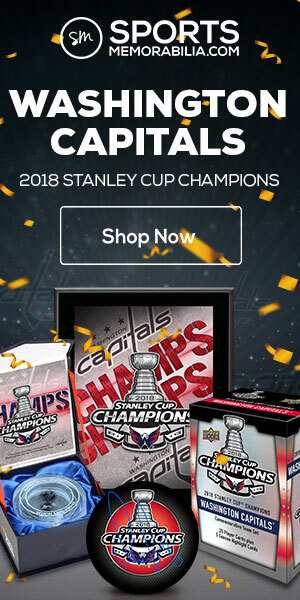 One in every 20 boxes also have an autographed card. 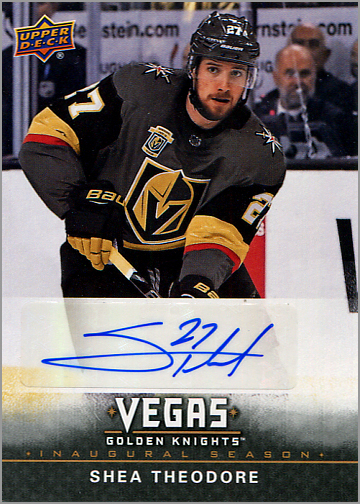 I was lucky and got a card signed by Shea Theodore; or rather, a sticker signed by Shea Theodore that was adhered to a Shea Theodore card. Regardless, the card looks pretty sweet, and was an unexpected surprise. 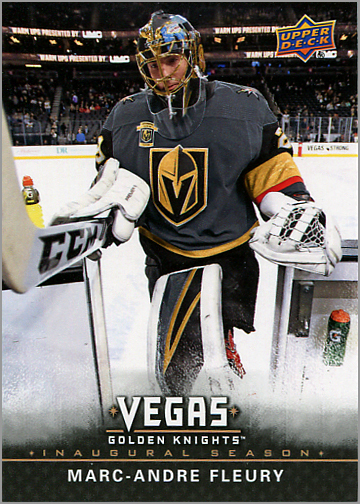 The 2017-18 Las Vegas Golden Knights set is sold as a 50-card boxed set, with five Golden Parallels, for a total of 55 cards. 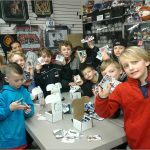 One in every 20 boxed sets has an autographed card. 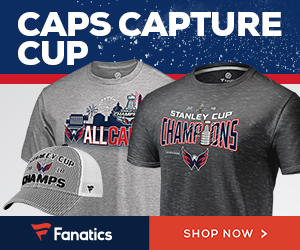 The set retails for $30 online, but is currently on sale for $26.99 at Fanatics. Nice review to a pretty solid set. 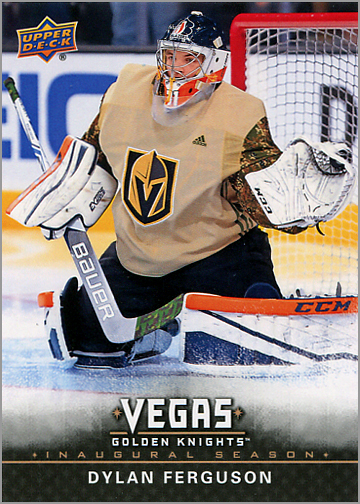 It’s nice they included all 50 of the goalies they used last season. But did they include Chance, the mascot? Chance has to be in there. A gila monster on skates…how can you ignore that? 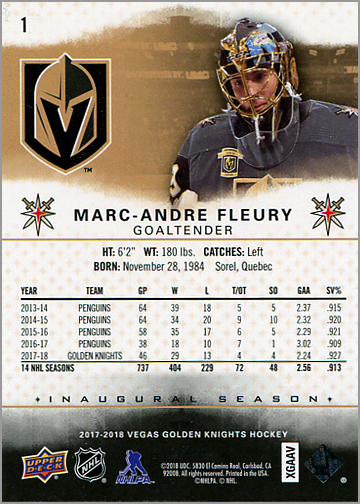 I wonder if those golden stamped cards all look as off center as that Fleury? No, no Chance The Mascot. Now that you mention it, he should have been included. 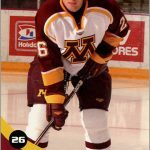 But honestly, I did not notice at the time, so maybe a mascot card wasn’t really needed.